Well, friends, this is it. 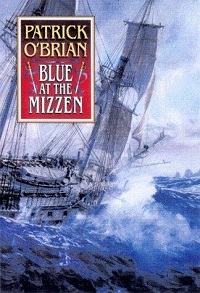 The last completed book from Patrick O’Brian’s Aubrey/Maturin series. I plan to take a look at the unfinished final volume in the next few months, but my understanding is that it’s not much more than fragments, so I’m not expecting to get a lot out of it other than a sense of what might have been. So with Blue at the Mizzen, we have a book that wasn’t intended to be the end of the series that ends up being its end. In some respects, it’s a nice ending. The final moments show Jack moving on to a new role, one that he’s longed for over the course of the whole series. It’s an appropriate end. 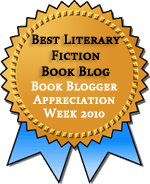 But most of the book really feels like a transition, a set-up for a new set of adventures taking place after the Napoleonic War. When reviewing The Hundred Days, I expressed my consternation at the sudden off-page death of Diana. I’m still irritated by that, a fact that probably did a disservice to my potential appreciation for Stephen’s decision to propose to fellow naturalist Christine Wood. I liked this character a lot, and, in some ways, she seems like a more appropriate match for Stephen, a match chosen with mature thoughtfulness and not youthful passion. But it still feels sudden. She appeared in one previous book, before Diana’s death, and the first mention of her here is about Stephen’s decision to propose. We don’t get to be part of his thought process. Again, this might be setup for some future drama — if the marriage doesn’t happen or isn’t successful despite seeming perfect on paper. But I wasn’t ready for Stephen to move on. I could be convinced, and I want to be convinced, but not being part of his journey makes it difficult. Perhaps, though, O’Brian was starting to run out of steam for the series. I feel confident that the story could have picked up with more volumes, but part of me is happy to see Jack sailing off to new honors and Stephen dreaming of a new family life as this one ends. Nothing but good things ahead. It’s been fun for me. I’m not, in the end, as absolutely devoted to the series as Proper Jenny, but the characters are so lovable that I’ve enjoyed spending time with them.